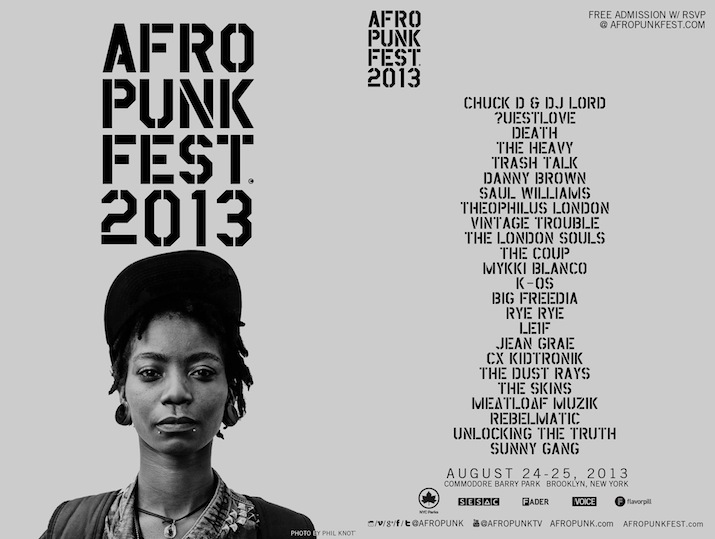 This weekend, AFROPUNK Fest returns to “The Slab” in Commodore Barry Park for two amazing days and nights. AFROPUNK is Fort Greene at its best, with an irresistible lineup that includes Chuck D, ?uestlove, Jean Grae, Death, and so many others. Come for the music, but stay for the marketplace of local wares, art, and food. The festival runs Saturday, August 24 and Sunday, August 25. You can click here to learn more and check schedules. Turf the Slab is a strong supporter of AFROPUNK and has every intention of making it a permanent part of the Commodore Barry Park summer experience. See you there!